Report and discuss domain name scams, stolen domains and suspect ebay listings. op Ashiko: we will be placing the domain name(s) into a suspended status on 9th January 2019. Does Sedo portal infringe TMs? Daily failed to renew my domain - help! Mr Michael Gleissner and Morton & Associates, scam ? Accusations of IP infringment as a negotiating tactic? 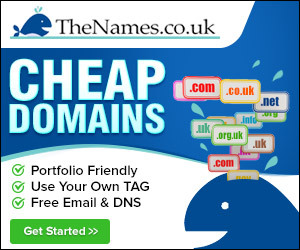 Can a non-UK person buy .uk domain? Registrant of a .COM Registrant Organisation or Registrant name? Registering .uk - I don't have the right. can you DRS a non hyphen? Anybody had a LLL complaint? I never registered the .co.uk! Accused of 'abusive registration'! Any suggestions? I just bought a massive TM.org.uk domain. 123-reg have knocked years off my life..